3v1 after 3 passes hit end man, side players move. 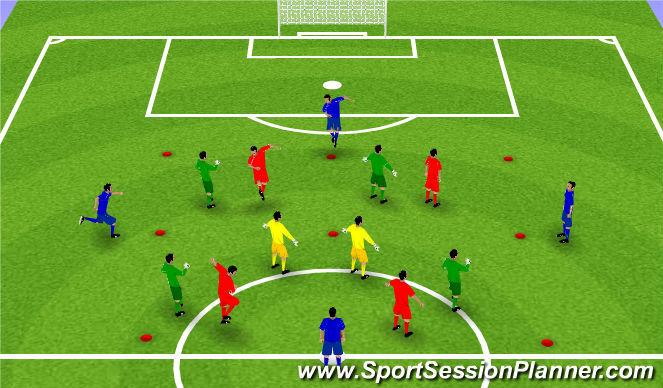 2v2 in middle area (yellows defend) ball passed around outside, goals scored by passing to reds successfully in to out the box. Outside players cannot be tackled. 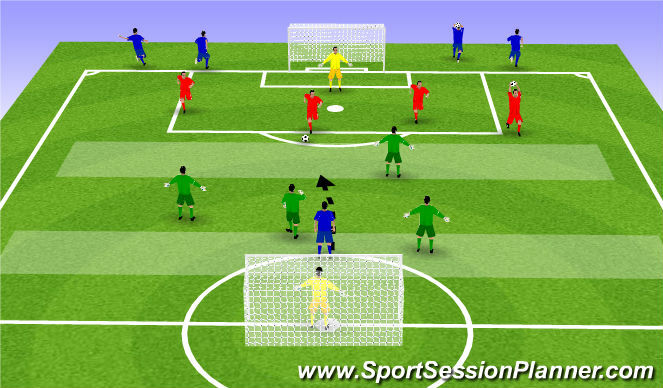 4v4v4 counter attack game with blue "10" playing for both teams in attack. 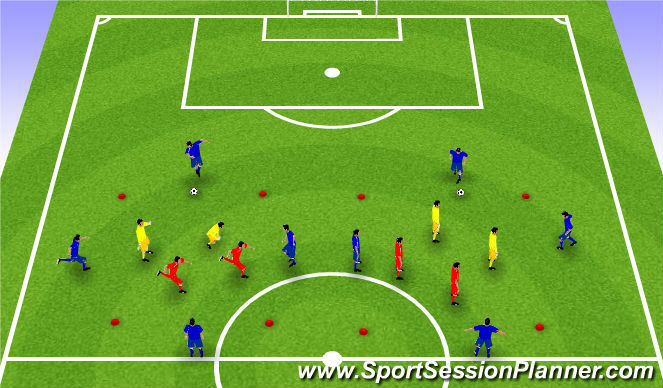 Focus on "10" position and ability to influence game.